Eight years ago, my cousin Firesenshi came up with a Spotlight article named "Anime Backtrack: March 2002 Special: Reminiscing Classic Anime". 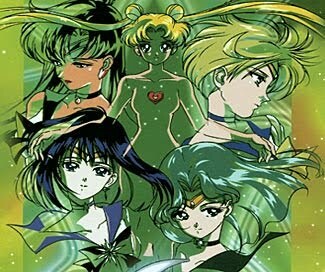 It covered a lot of the anime we Senshi grew up with. Alas, it shared the fate of many other Spotlight write-ups...it got lost in the course of our numerous transitions. Since we're on the subject of revivals, let me just speak of -- and add to -- the very same anime titles Firesenshi wrote about eight years ago. We began with these. No, we didn't get to watch them during the first wave of their arrival into our country in the 70s (our parents were still in college back then), but we did get to catch their reruns in the 80s. 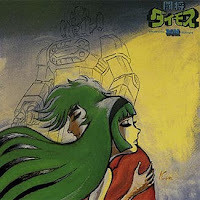 A couple of years later, we were introduced to the concept of a love angle in Tosho Daimos. The premise was nearly the same: Earth was to be invaded by aliens that look like humans with something extra. This time, the aliens had wings! Like the Voltes team, the Earthlings here fought back with a giant machine. 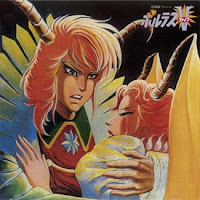 The little twist: the enemy's Princess Erika and the protagonist Kazuya became lovers. In the Philippines, however, Kazuya's name was Richard. And everyone, who would grow up to be silly adults, would much much much later joke about how Erika and Kazuya would go..."Erikaaaaaa!!!!" "Richaaaaaaaard!!!!" We can laugh about how ridiculously romantic we were as little kids, but one can't deny that Daimos made a thorough impact on our lives while we were growing up. 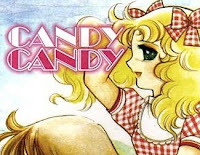 Then we were to discover tragedy and triumph in Candy Candy. I can still sing it: "She's a girl, pretty girl, with ribbons on her hair..." I'm glad I didn't get to finish this anime when I was a kid, though. At that time, I was pretty pissed that they took Candy Candy off the air before we could get to the middle of it. Watching it again as an adult, I realized that Candy's complete story would've been traumatic for a child. She had a roller-coaster ride of a life and had very little reprieve between tragedies. Even the manga was exhausting! We had a lighter alternative, of course. Astro Boy introduced moral lessons that were a lot more obvious than the previous anime we've been exposed to. The innocent android boy would meet people and inadvertently change their lives through realizations. There were times when it made me cry, like that particular episode where someone was killing off the world's powerful robots (some of them were so adorable, I was sad to see them die!) and there was another episode where Astro's sister would be mean to one admirer who turns out to be the operator of the robot she idolized. 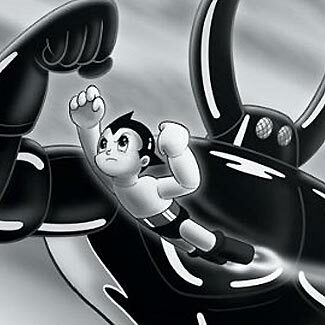 It would be years and years and years and years later that we would rediscover anime. You guessed it, it was Bishoujo Senshi Sailormoon. It was through this show that I would be inspired enough to build my very first website...on May 18, 1997. It was the beginnings of the Otaku Fridge (Firesenshi, Sugarsenshi and I were in college by then)...except the site had a horrendously long name, as I've already recounted in this section. By this time, my cousins, sister and I would be led to so many other animated titles and video games that we'd spend weekends on anime marathons or game challenges at Icesenshi's house...while raiding her fridge during breaks. By the year 2001, the Fridge had nurtured a community with active membership. At its peak, it had over a hundred active members and over 7,000 inactive lurkers. The membership declined as the site administrators (mainly me, my sister Thundersenshi and my cousin Firesenshi) grew into adulthood and got swamped with real-life responsibilities. So where are the old members now? Some of them are still into anime. Tsumenki and Kaoko maintain the Bishounen Project. Furthermore, Kaoko, with her Kitchen Cow, went on to become one of the Philippines' most popular food blogger. 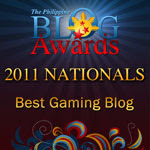 Rowena Lim Lei, formerly of Animetric.com, went on to become one of Manila's most prolific magazine contributor and blogger. Voldemort is now into magic shows, DJing, and also hosts major events from time to time, while MarkPoa is among the people of Cosplay.ph. So many events have transpired in the past 13 years and I think it's safe to say that much of our careers and current activities all started from anime. Once in a while, we can look back on that.